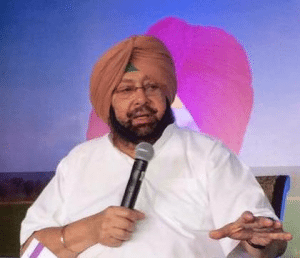 Chandigarh (PTI): There is a clear bid to revive terrorism in Punjab, senior police and intelligence officials told Chief Minister Amarinder Singh who on Friday reviewed the law and order situation in the state, according to an official statement. “There is a clear bid to revive terrorism in the state, which could be traced to foreign handlers not just in Pakistan but also in other countries such as Canada, Germany, UAE, Belgium, South Africa, Portugal and Saudi Arabia,” the chief minister was informed at the meeting according to the official release. Punjab Director General of Police Suresh Arora told the chief minister that since March this year, seven terror modules had been busted and 43 terrorists, radical operatives arrested by the state police. The police have identified 16 foreign handlers affiliated to various militant outfits so far, and as many as 38 weapons, including those pushed into India by Pakistan’s ISI, have been seized, he said, according to the release. The chief minister gave the security forces a free hand to tackle any threat to the state’s peace and harmony, it said.